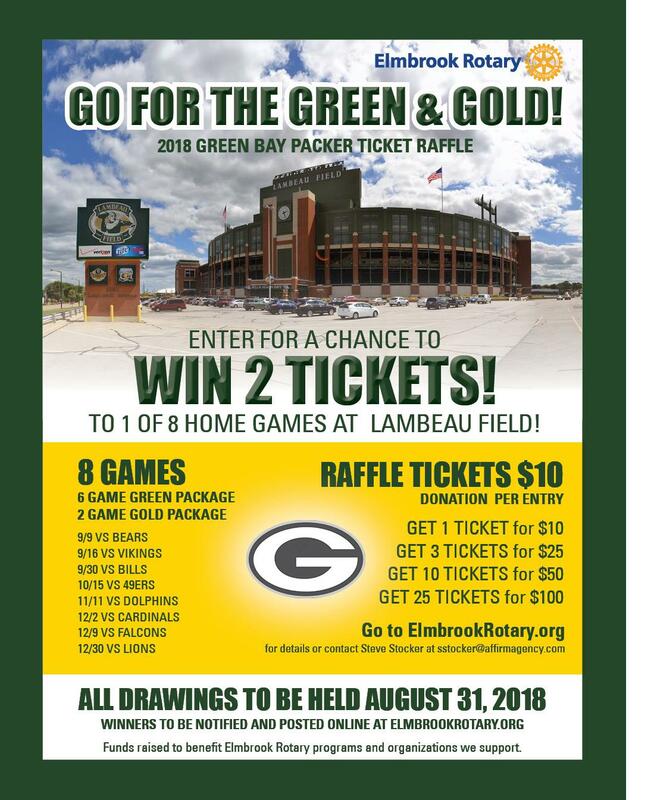 The Packer season isn’t fast approaching and this is a great way for our club to raise additional funds that will benefit the programs and organizations we contribute to including Capitol West Academy, Food Pantry of Waukesha County, Literary Services of Wisconsin, The Women's Center and more! Information and tickets will be available at our Friday morning meetings throughout August. See the attached flyer with information and for sharing with your friends, family, neighbors and business associates. We’ll also be looking to sell tickets at the other area Rotary Clubs, the Brookfield Farmer’s Market and at local retailers over the next four weeks. Sell as many as you can! Tickets are $10 each with 3 tickets for $25, 10 tickets for $50, and 25 tickets for $100. Winners will be drawn at our meeting on August 31st, with 1 winner or 2 tickets for each of the 8 home games this season. 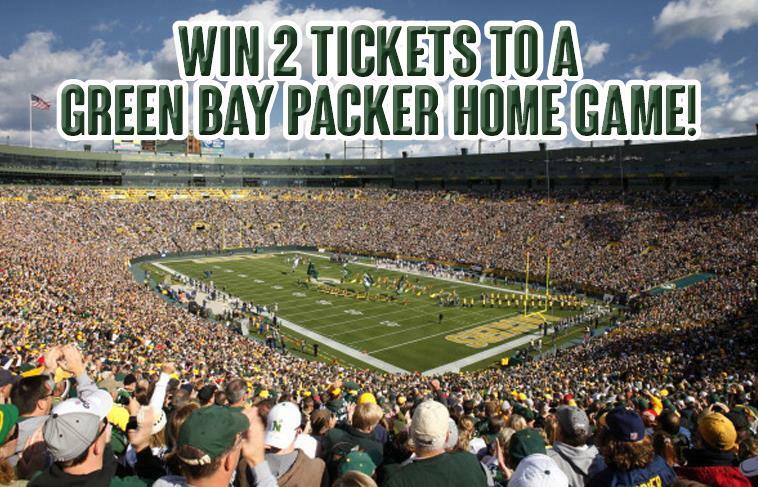 Winners will be notified and posted on online at our website. Our goal is to raise $5,000 after costs so let’s all GO FOR THE GREEN & GOLD this summer! Watch for updates at our upcoming meetings and you have any questions, please contact Steve Stocker at sstocker@affirmagency.com.